Not sure why, but I felt like posting this picture again this morning. Could it be because I’m taking a week off next week and going to the ocean? 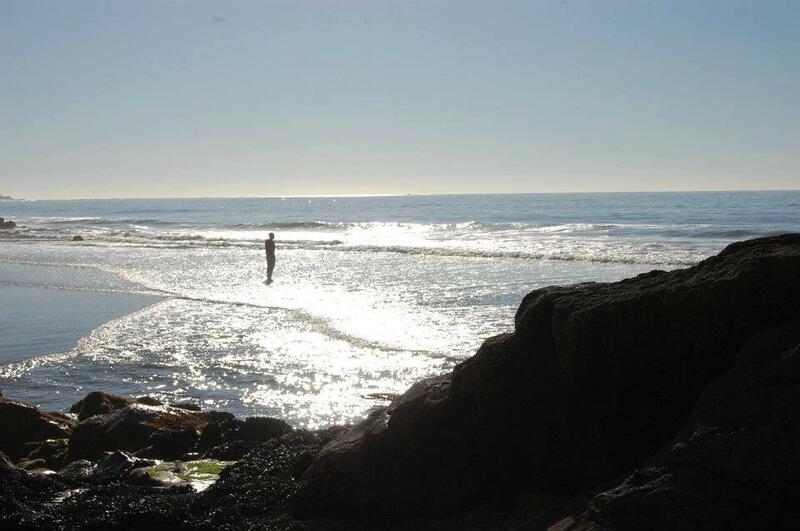 Could it be that when I look at the big sky and the big ocean, I feel more connected? Could it be that when I accept that things are perfect as they are (without judgment), that when I feel connected and that I belong here (and when I actually feel acutely aware that I am part of a interdependent and inter-connected caring community called the Universe), that rays of light and happiness seem to shine more clearly? Felt like posting this picture again. Not sure why… but it is indeed a good morning, yes? Words of Advice. Setting Intention, Again. A number of weeks ago, when my father was still able to share words of wisdom, he looked at me and saw that my smile was not natural. He said to me, “Don’t let your job get the best of you.” I understood what he meant immediately. What I immediately understood was, when your work is a natural way for you to express who you naturally are, your work will naturally be a way for you to give your best; when your work forces you to act in a manner that is in conflict with who you naturally are, your work will not get the best you. I believe in the Oneness of all. Everything is connected. We spend too much time living under a guise of separation and division, competition and comparison, self-promotion. I believe we are our best selves when we act for the betterment of all things. In my future actions, I will set my intention to be who I naturally am. 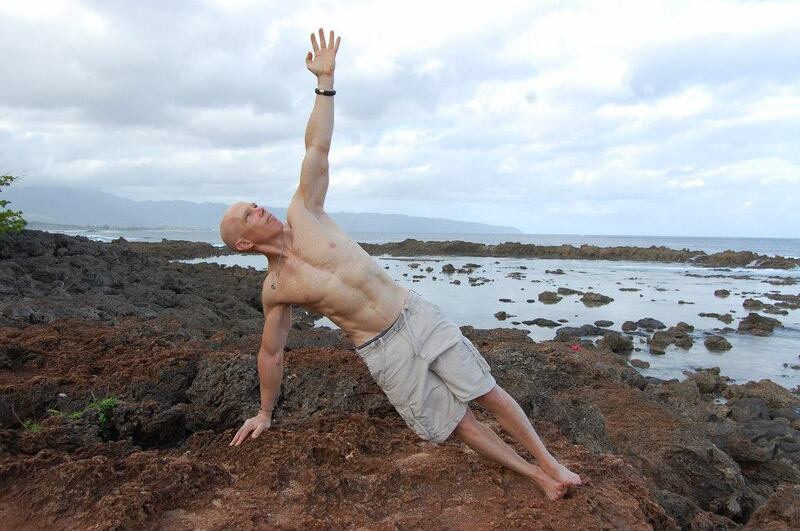 I will tune into the energy and memories of the mentors who have guided me (my father, my uncle, my wounded warrior friends, my yoga teachers, my coaches and teachers, my mother) and connect with them through daily rituals and practices. I will set my daily intentions to be who I naturally am, in order that I am able to give my best to the work of my life. And I will take full responsibility for who I am. I will live by my father’s example to be me (as best I can), to accept others for who they are, to do good work on the behalf of others, and to do it with a sense of humility, togetherness, dignity, and joy. My Dad’s Obituary. This Mentor Will Always Walk With Me. Robert S. “Bob” Speck, 87, of Wendy Lane, died on Tuesday, August 6, 2013 at the Maplewood Manor Nursing Home in Ballston Spa. 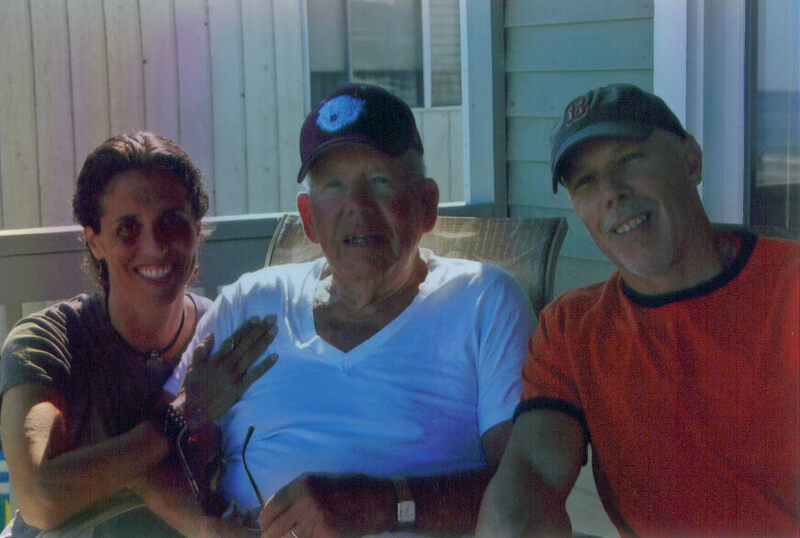 He was born on July 7, 1926 in Gloucester, MA and was the son of the late Reinhard and Gertrude (Marshall) Speck. Bob Speck will be remembered locally for his four decades of dedicated community service and public education leadership in the Burnt Hills – Ballston Lake School District. 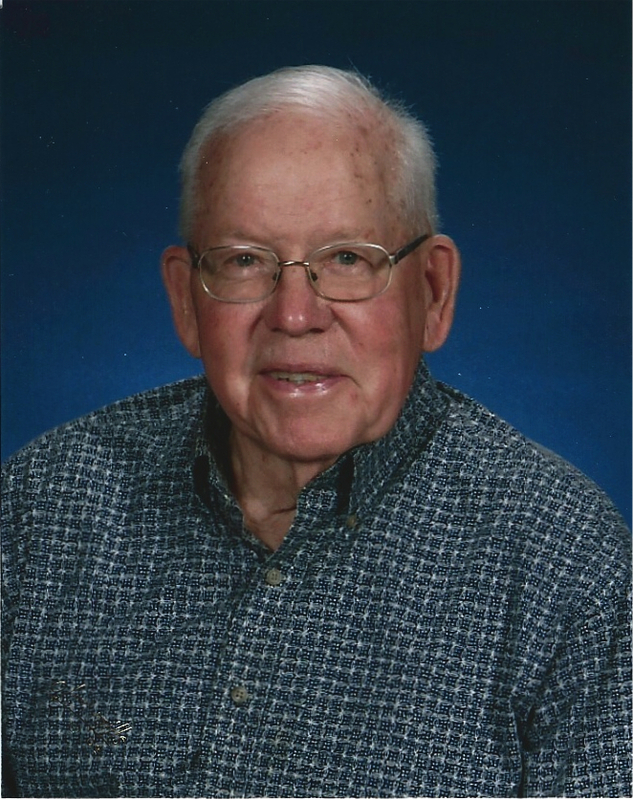 He served 36 years as member of the Board of Education, often serving as Board President. He also served terms on the board of directors for Capital District B.O.C.E.S. and the New York State School Board Association. Prior to these school board roles, he also served in volunteer leadership roles at the Charvale Pool Association, Burnt Hills Junior Baseball Commission, Hickory Hill Ski Center, and the PTA at Stevens Elementary School. He was recognized for his service and program support with many awards, including the BH-BL Founder’s Award, the BH-BL Rotary Citizen of the Year, induction in the BH-BL Sports Hall of Fame, and the naming of the middle school Media Center in his honor. He also served as the school district historian and worked with the District to publish a book in 2005 on the 200-year school district history. Bob Speck grew up on a two-acre dairy farm in Rockport, MA. As a boy, he helped his family run a dairy farm, milking cows and delivering raw milk before school. A nephew of Native American anthropologist Dr. Frank G. Speck, he spent summers learning about indigenous ways of life from Mohegan Chief Harold Tantaquidgeon and later became an Eagle Scout. 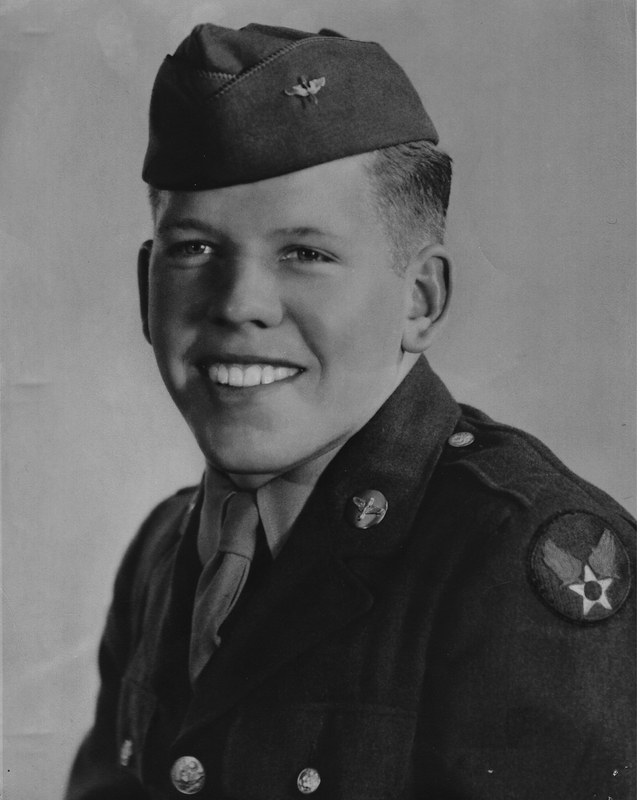 After graduating from Rockport High School in 1944, Speck enlisted in the US Army Air Forces during World War II and was in training to be an aviator cadet when the war ended. He enrolled in Tufts University and graduated with a Bachelors of Science degree in Engineering Physics in 1949. Speck married his high school sweetheart, Elizabeth “Betty” Speck in 1949, and soon joined the General Electric Company. After assignments in Lynn, MA, and San Jose’, CA, Bob and Betty settled in Burnt Hills in 1958, and Speck began a 36-year career for GE working at Knolls Atomic Power Laboratory in Niskayuna, NY, and the Kesslering Site, in West Milton, NY. His work was largely involved in the design and construction of nuclear power plants for US Navy ships and submarines, many of those years doing ground-breaking work under the direct supervision of Admiral Hyman Rickover. Speck received his Masters of Science degree in Nuclear Engineering from Union College in 1963, and later authored a nuclear power training manual for GE which was used for many years by the US Navy. Speck was always focused on getting things done, whether at work, in his community service, or in his yard. But, he was focused most on his family. Bob, also known as “Pete” to neighborhood and hometown friends, was always together with Betty at family academic and sporting events where they have been enthusiastic boosters. He and Betty have been fixtures at BH-BL and Union College soccer and ice hockey games. Each summer, the two of them gathered kids and grand-kids together for vacation stays in their hometown of Rockport, MA, spending time together with relatives on Long Beach and cheering for their beloved Red Sox. Bob was so proud of his children and his grand-children, their lives, their achievements, their togetherness. He lifted up others with his energy and his wit. He will always be remembered for his dedicated work, his sense of integrity, his intelligence, and his light-hearted nature. And “Uncle Pete” to many nieces and nephews. A celebration of life memorial service will be held on Saturday at 10:30 AM at the Burnt Hills United Methodist Church, 816 Route 50 in Burnt Hills, NY. Following the service will be a reception at the Robert S Speck Media Library at the BH-BL Middle School. Interment of Bob’s cremated remains will be in the family plot in Beach Grove Cemetery in Rockport, MA on Saturday, September 7, 2013. Those who wish are encouraged to make memorial donations to the Burnt Hills United Methodist Church or the BH-BL Robert S Speck Scholarship Fund c/o Townley & Wheeler Funeral Home. Many thanks are extended by Bob’s family and friends and to the staff at Maplewood Manor, Saratoga County VNA, and Saratoga County Hospice for their loving care. Special thanks to Karen Murdick and Fred Hess.